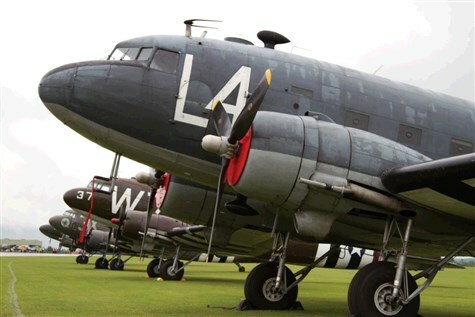 A once in a lifetime event, as part of the 75th commemoration of D-Day, a number of DC-3s and C-47swill be assembled together, preparing to cross the English Channel. You will get chance to see the aircraft close up, peek inside and chat to the crews and parachutists. In the afternoon, around 250 men and women will board the aircraft, just as they did in 1944, fly across the channel and jump into the historic drop zones of Normandy, wearing WWII style uniforms. It honors those who sacrificed so much to liberate Europe.